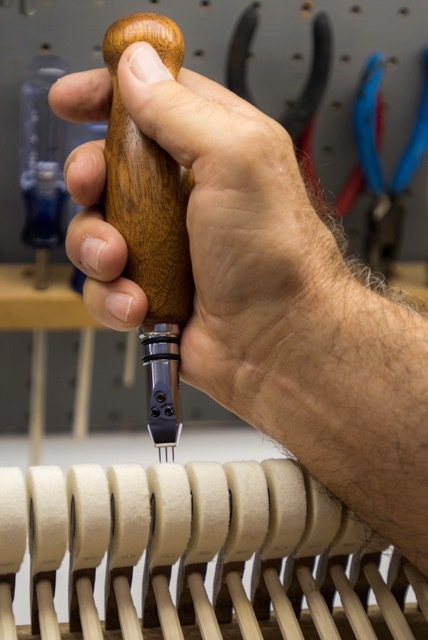 In 1981, Jim became one of the youngest Craftsman (now simply referred to as “Registered Piano Technician”) members of the Piano Technician’s Guild. Since then, Jim and his carefully selected team of Associate Tuner / Technicians have had the honor of servicing the pianos of everyone from the beginning piano student to hundreds of the music industry’s most respected personalities. 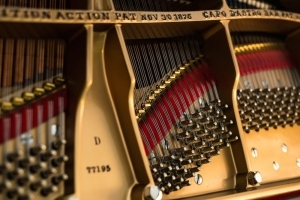 An average-quality tuning can be compared to a slightly out-of-focus picture. It’s not until the picture is brought into better focus that one realizes how much clarity was missing. 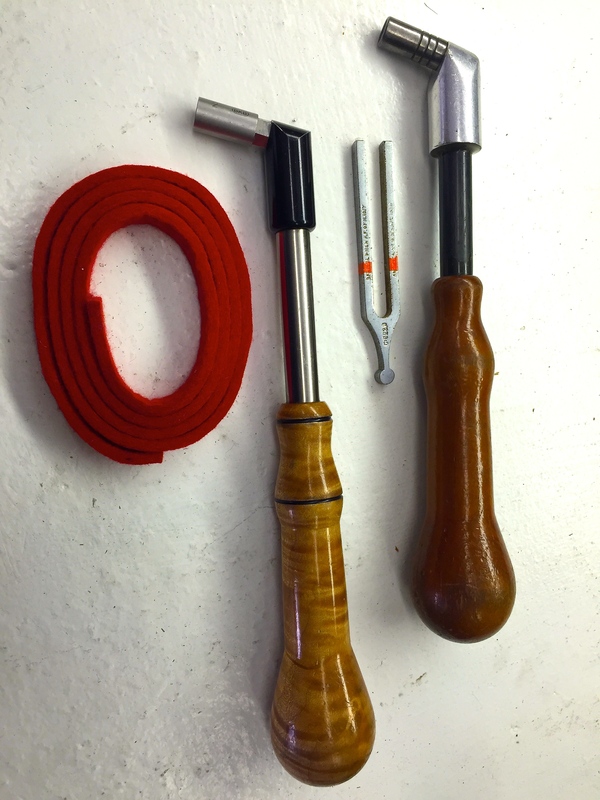 We take pride in every tuning we do being precise, musical and stable. 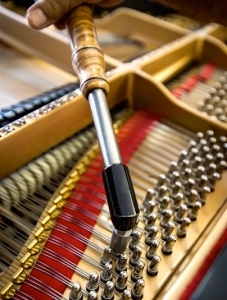 Piano Tuning Prices: Considerations for choosing a tuner. In a challenging economy, we’re all looking for a good deal. Heck, in ANY economy, we should always be mindful of getting the most value for our money! 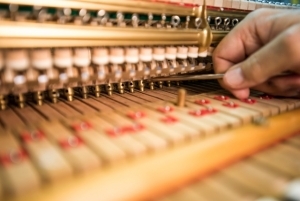 For someone comparing prices of piano tunings, there are a few things to consider. The prices range widely and so does the quality. Obviously, “quality” in this case means how good does your piano sound after the tuner has tuned it. The ability to deliver a precise, musical tuning is something that a piano tuner develops (potentially!) commensurate to his / her experience and earnestness. 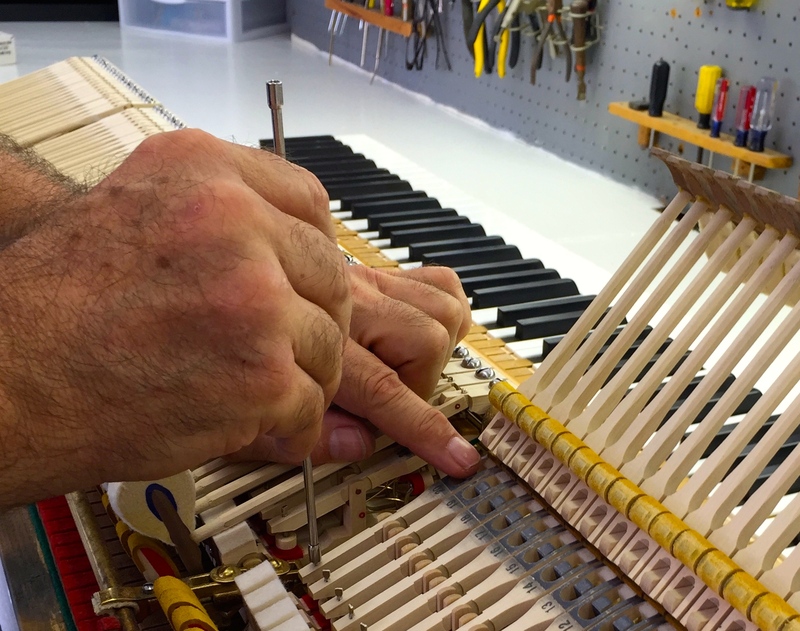 There are several segments in each piano string. The “speaking length” of the string is just one. If one of the string segments is left with more tension than the others, the string can go out of tune more quickly. To tune a string, you increase / decrease it’s tension by manipulating the tuning pin. 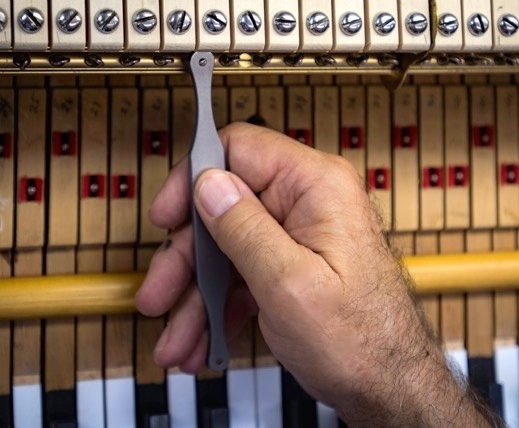 If the tuner leaves the tuning pin flexed too far forward or too far backward, it will later find it’s correct equilibrium and the string will go out of tune. The same is true if the tuner leaves any “torque” (twist) in the tuning pin. 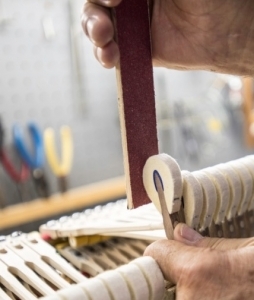 Setting the strings and tuning pins correctly are skills a piano technician can only get better at through years of experience (and a sincere desire to continue getting better!) Of course, there are many other factors that will put your piano out of tune (humidity fluctuations being first and foremost! ), but isn’t it smarter and cheaper to in the long run to choose a piano technician who not only can make your piano sound fantastic but is also skilled at setting the strings and pins? Our commitment to you is to always provide the absolute highest quality tunings, with the best tuning stability at reasonable rates. 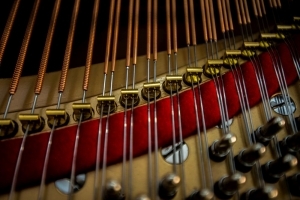 To “Pitch-Raise” a piano simply means that the piano has gotten so far below (or sometimes above) standard pitch that it requires more than one tuning to get it back “to pitch”. This is due to the fact that pianos have up to 30 or more tons of string tension causing the strings to “stretch back out” and the soundboard to flex considerably when the piano is returned to proper pitch. Also, it is impossible to do a fine-tuning when a piano’s pitch has to be changed excessively. 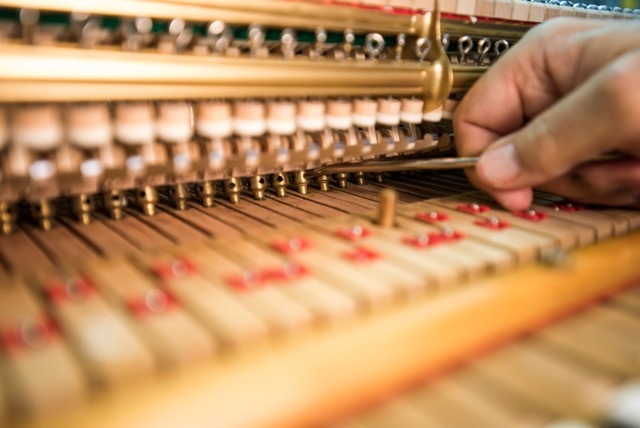 The first tuning is to rough-tune the piano to standard pitch and the second tuning (usually in a week or two, though sometimes on the first visit) is to fine-tune and stabilize the piano at the proper pitch. 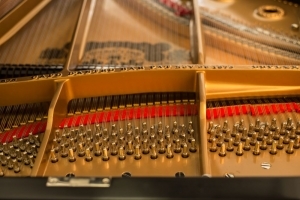 It is not uncommon for tuners to have to pitch-raise pianos when one or more of the following conditions exist: (1) The piano has gone too long between tunings, (2) adverse humidity or temperature changes, (3) new strings, (4) the piano has just been moved, or (5) the piano has not been maintained at proper pitch. Which Tuning Is Better: Ear or Computer? My pal literally reached across the darkened theater to restrain me. He was absolutely certain that I was going to heave my Diet Coke at the guy in the tie-dyed shirt on the movie screen. As far as tuning methods and their respective end results go, can we all agree on at least one thing here? How you get the piano sounding trumps how you got there, yes? Or if you’re still searching for that perfect, alliterative phrase to embroider on a pillow for me: What matters is the music, not the means! Actually, this is my mantra in ALL areas of piano servicing. I’ve heard both great and lousy tunings done by both aural and ETD (Electronic Tuning Device)-assisted tuners, so one’s chosen tuning method is a guarantee of exactly nothing. The last time I checked, “Equal Temperament” is the “equal” (hey, it even says it in the title!!) division of an octave into pleasing uniformity of the intervals contained therein. Ergo, I hope we (tuners and discerning pianists alike) can all concur that at the heart of a great tuning you have a temperament area with nice, clean octaves, perfectly still unisons and smoothly progressing intervals (thirds, fourths, fifths, tenths, seventeenths, etc.) beating at a slightly faster rate as you advance chromatically up the keyboard. What matters most is how the piano actually sounds. When a pianist sits down to play the piano with the above-described tuning and together they produce mellifluous, musical beauty, who gives a toss about how the tuner arrived at this? Honestly. Many years ago, I heard the common query “Do you tune by ear or by machine?” My stock answer was “yes.” While I learned to tune strictly by ear and became a Craftsman PTG member with just a tuning fork way back when the Dead Sea was still the Sick Sea, eventually I, like so many of my respected colleagues, began incorporating state-of-the-art technology into my tuning process. I say eventually because early ETDs (i.e., hamster-powered “strobe” tuners) were hindered by the false assumption that all pianos should be tuned the same. 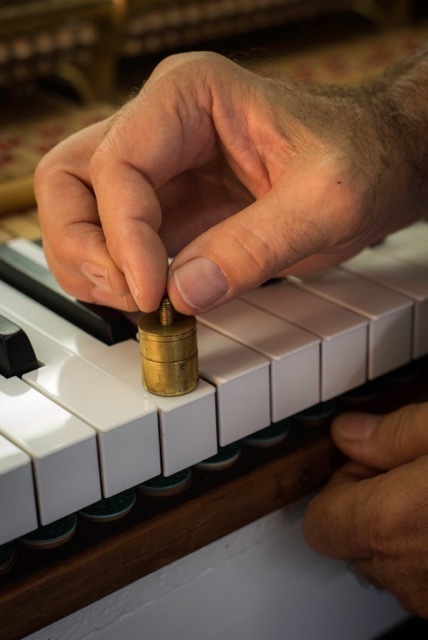 Of little surprise to most piano technicians is the fact that all pianos have varying amounts of “inharmonicity” (for any non-tuners or neophytes out there, simply put, this is the property of the overtone series to be out of tune to the fundamental.) 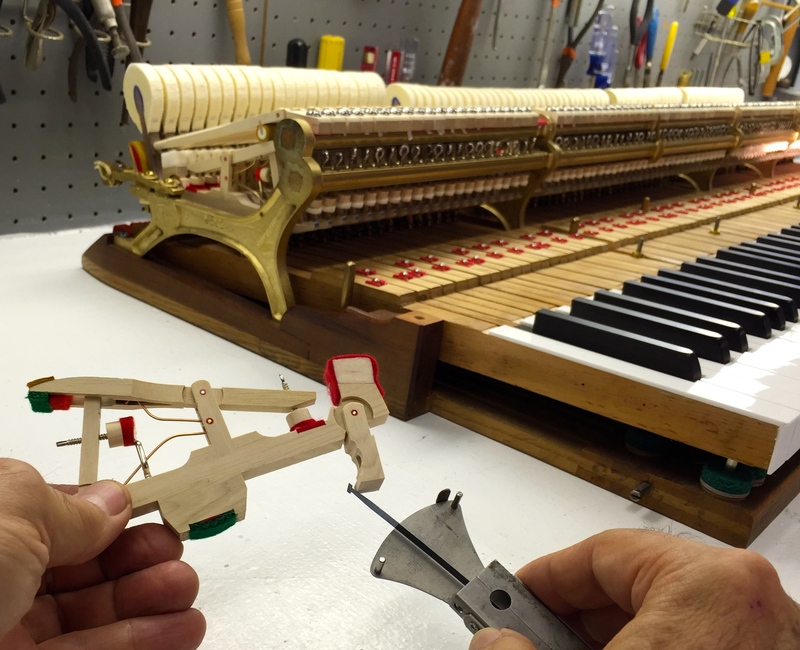 Every piano therefore demands its own custom tuning! Thankfully, in a free market where word-of-mouth is King, a tuner’s business will grow commensurate to the quality of the results he/she produces. I’m grateful to say that for ages now, I’ve been blessed with more high-end piano servicing than I can handle and consequently that worn-out “ear or machine” question hasn’t surfaced since the Fred Flintstone era. So . . . can we please finally bury this inane “either/or” false dichotomy once and for all? If you’re a tuner who tunes with nothing but a tuning fork … for God’s sake, go put some clothes on! … Seriously, if this is the case, I encourage you to check out the wonderful world of the latest and greatest ETDs, most of which can even memorize your best aural tunings for you! Trust me, you won’t mysteriously, suddenly become deaf, dumb and blind. Your well-trained ears will finally get a visual representation of what they’ve been interpreting solo for years. Season to taste. Lo and behold, you just might be surprised to find it could help you become a better aural tuner! While my personal belief is that the optimal approach is the combination of a well-trained ear with state-of-the-art technology, at the end of the day I honestly couldn’t care less if you accomplished your tuning with the aid of a tuning fork, an ETD or a magic wand and invisible fairies. 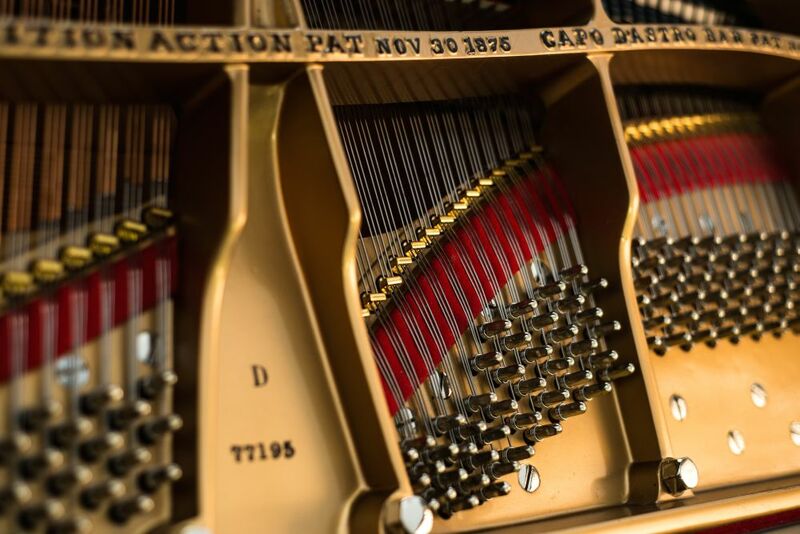 The actual playing mechanism of your piano is called the action. The action turns finger movement into sound and has thousands of moving parts that work in an ordered sequence. Your piano’s action needs adjusting or regulating from time to time for you to get the full performance from your piano, and to avoid shortening it’s lifetime. Your proficiency is greatly enhanced by a well-regulated piano. A complete regulation is a meticulous operation (there are over a dozen adjustments per 88 notes!) to improve action performance. The touch can be made lighter or firmer to your tastes. 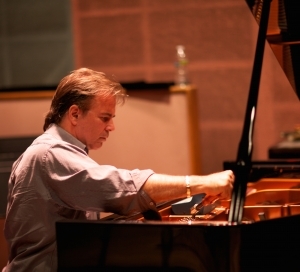 Voicing simply refers to improving the tone of your piano. 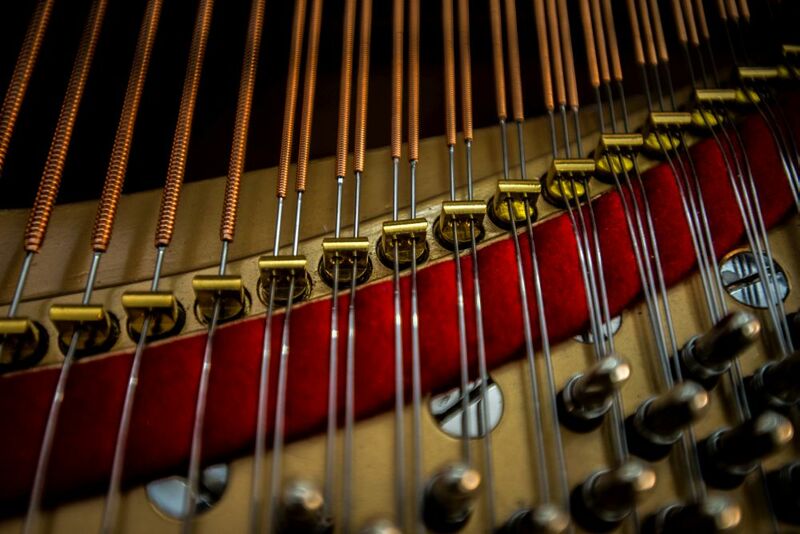 Your piano can be made to sound brighter or more mellow according to your tastes. The hammers are needled and reshaped to bring out more body to the tone. The end result is a warm and rich tone, yet vibrant and clear tone. Voicing involves more artistry than any other aspect of piano technology and results vary vastly from one piano technician to another. 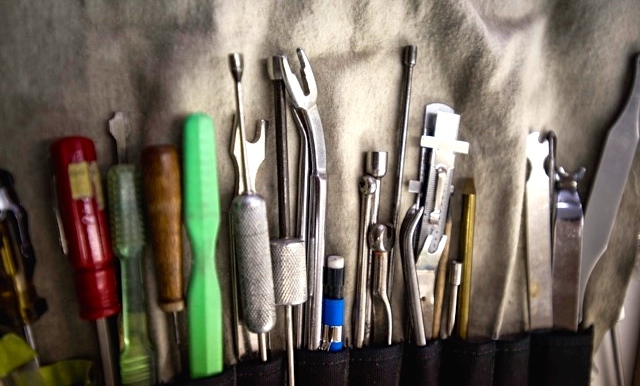 We offer the experience and track record to deliver an exceptional end result to you. 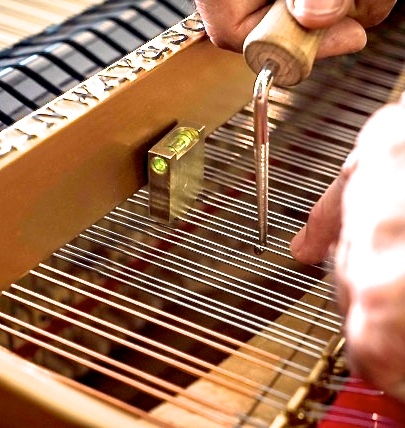 For significantly less than the cost of buying a new piano, we could rebuild your piano instead. Your piano’s old strings are removed, the exterior is refinished, the soundboard is restored, the gold plate is re-painted, the finest strings are installed, new hammers are installed and voiced, the action is reconditioned and regulated. Your piano is like new or better. Details on our Restoration Page.